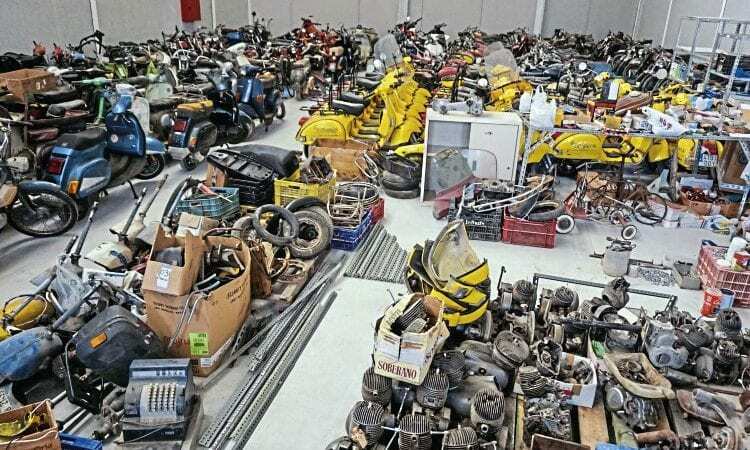 Indiana Jones eat your heart out! 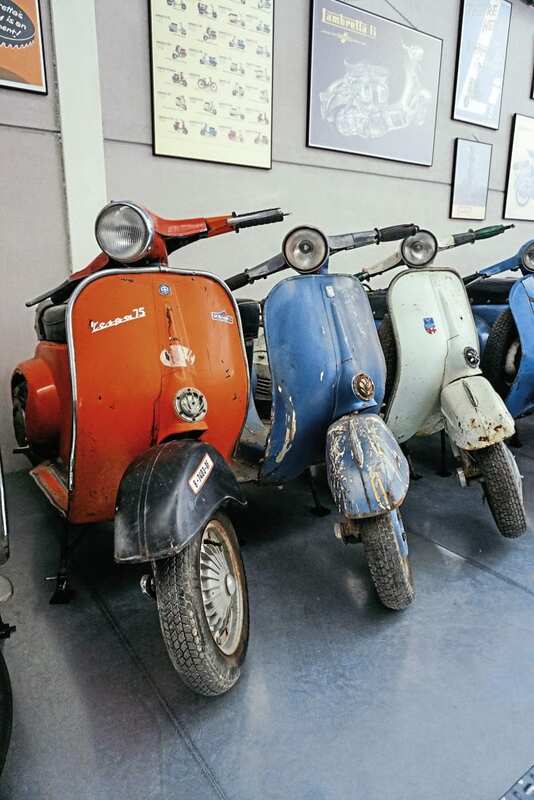 Collections are assembled for many reasons such as public display or investment but the most interesting are those brought together for personal enjoyment. 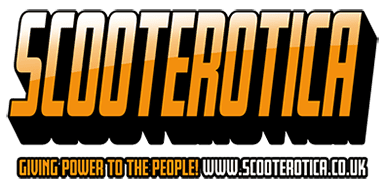 Israel and Charo, the owners of Recambios Motos Clásicas, are supplying spares for classic scooters with an emphasis on machines produced in Spain. 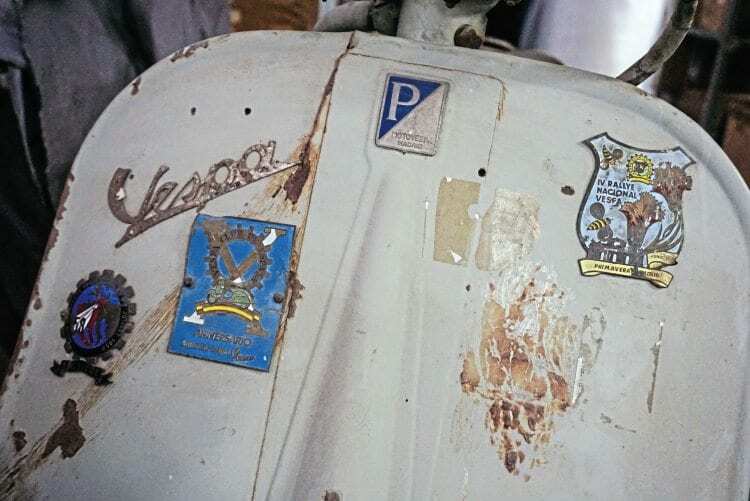 Their passion for both Vespa and Lambretta is boundless and has taken the couple across the country in search of rare survivors. 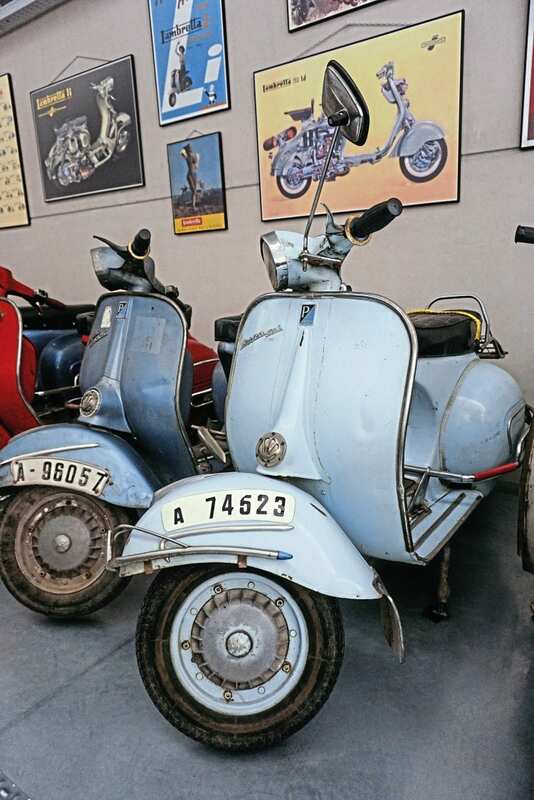 In 1960 Motovespa began to produce the narrow frame models with 10in wheels and for the first time a 150cc enigne was made available. This example dates from 1961. 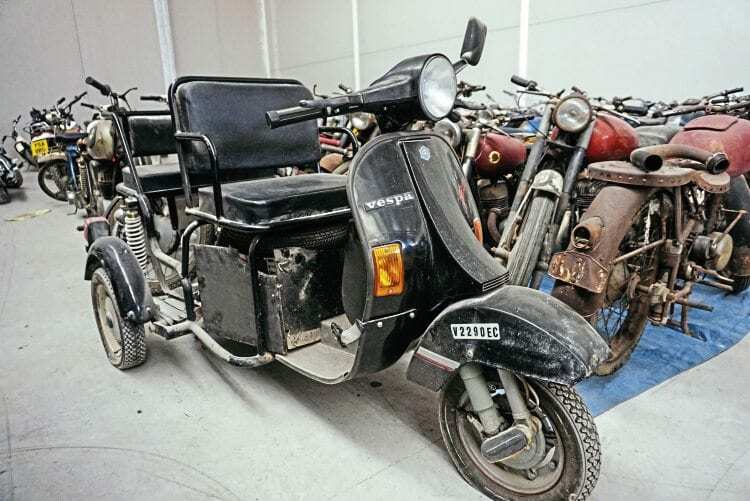 Hidden underneath debris in the storage area is this scarce Primavera 125. Manufactured exclusively for the Spanish Post Office it features factory fitted indicators. 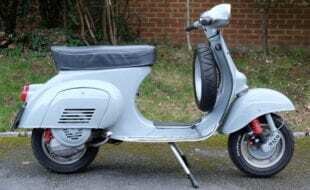 The 160cc engined models were a popular and important machine in the late 60s and early 70s. 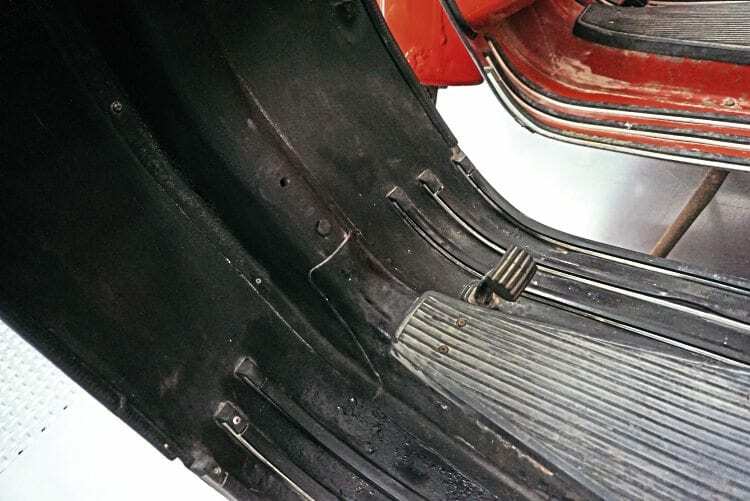 The 1969 example illustrates the first fitment of a PX style rear brake and in 1972 Motovespa introduced Femsatronic ignition. 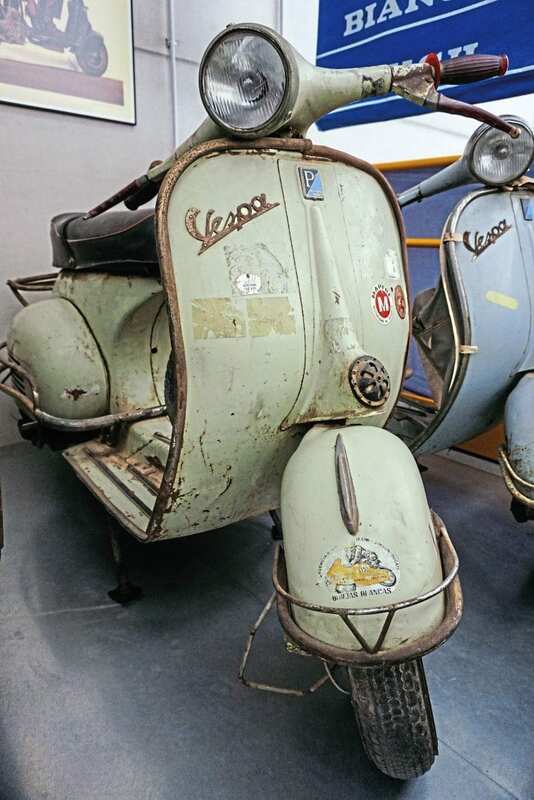 Very similar in appearance to the Italian SS180 Motovespa practiced ‘badge engineering’ throughout the machines prodcution life – this Sprint and GS are almost identical. Israel may have lost count of the machines in his care but he knows each of their histories without the need for records. Where and when each one of them was produced, where he bought them and any special features come to mind instantly. This isn’t the collection of a hoarder, it’s one of a connoisseur. 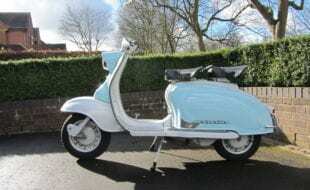 With exclusive access to this rarely seen selection of classic machines it’s difficult deciding where to start so I’ll begin with a small selection of his favourite Vespas. 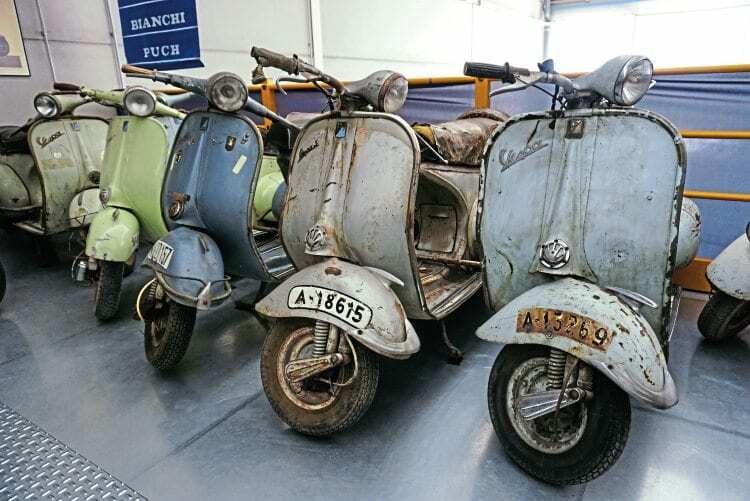 Next month we’ll take a look at his hoard of Lambrettas. 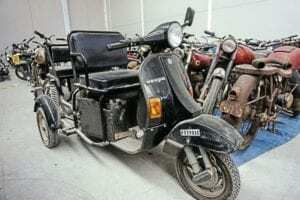 During the years of Franco’s Facist Government, Spain operated policies that effectively banned the import of goods which could be produced locally and as a result both Piaggio and Innocenti established Spanish factories. 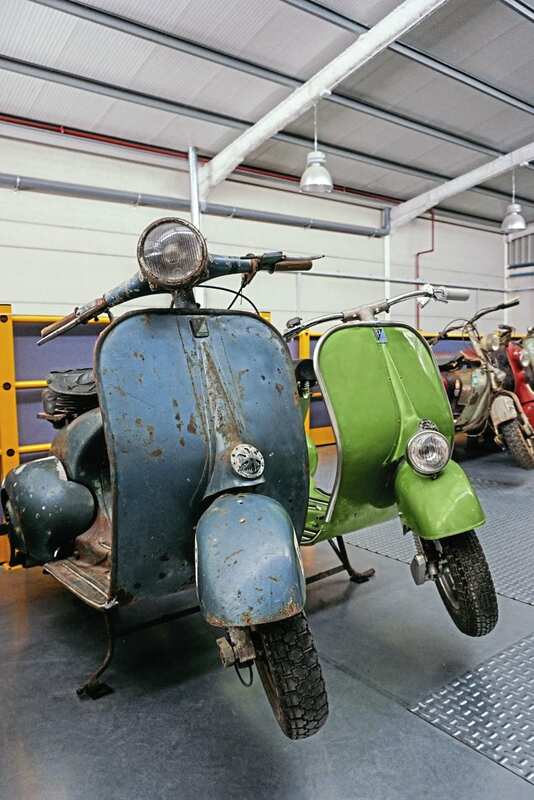 Although Motovespa opened its Madrid premises in 1952, it would be some time before production reached capacity. 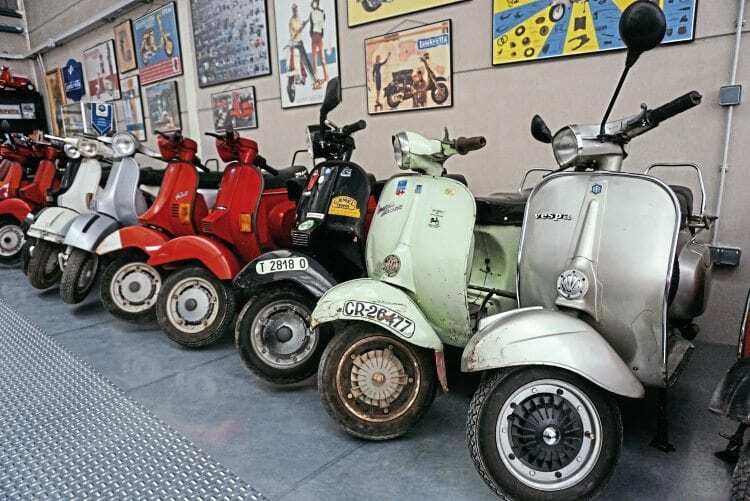 Faced with high public demand and intense competition from the Lambretta factory in Eibar, Motovespa needed to get its hands on machines quickly. The solution was to very quietly import machines produced at the Italian factory and stamp them with Spanish frame numbers. 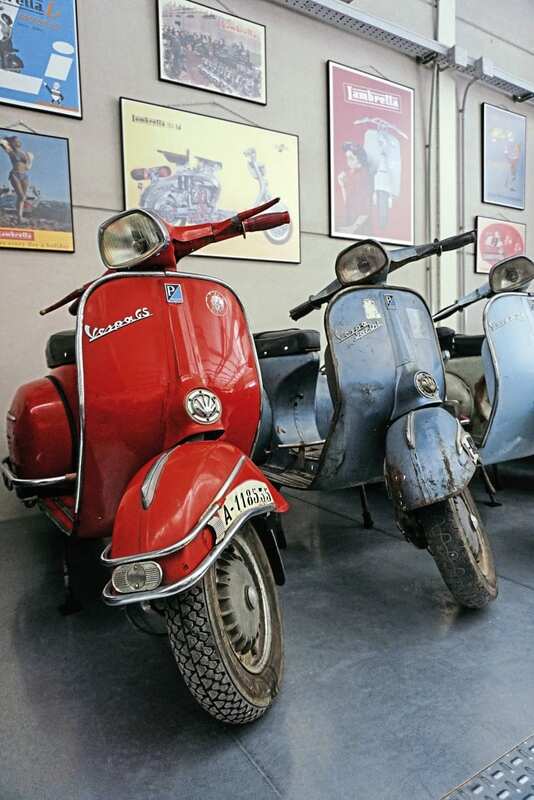 These two machines are from that period and are among the oldest surviving Vespas in Spain. 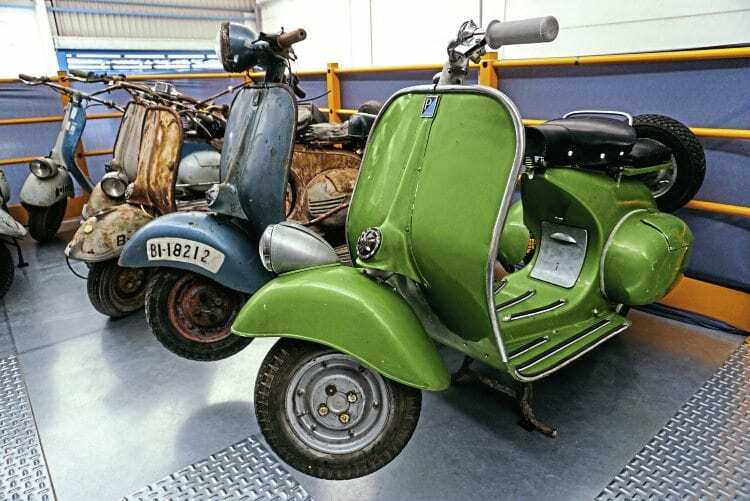 The pale green machine has obviously been repainted but is unusual for having a horncast which has been stamped in aluminium. 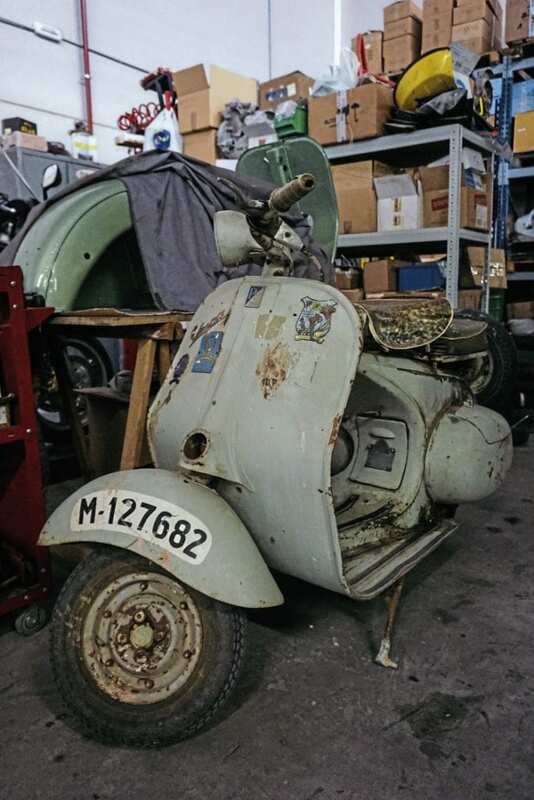 Its neighbor, BI-18212 is an original faro basso with aluminium side panels that was tidily converted to a handlebar light many years ago. 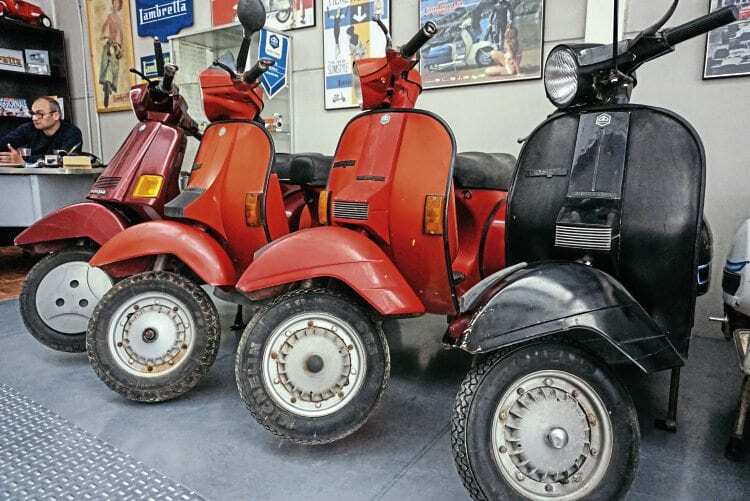 In the days before electric mobility scooters several Spanish manufacturers adapted Vespa frames into tricycles. 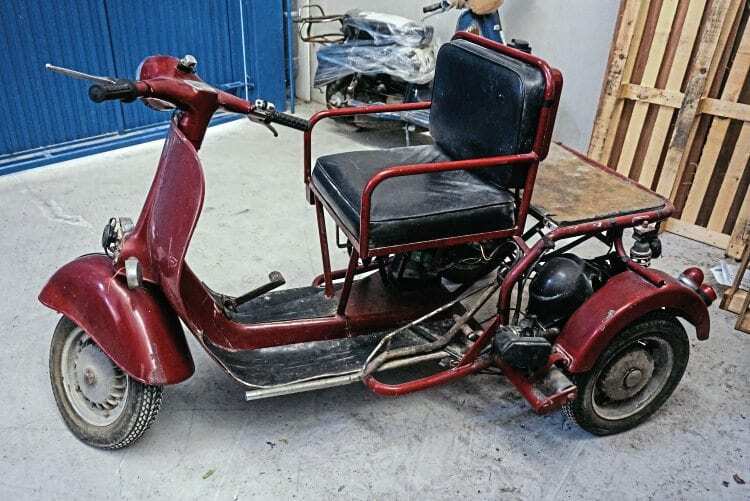 Typically these used the engine as a direct drive to the rear left wheel and an adapted front end to provide controls. Israel has two examples in his collection, a single seater that possibly dates from the 1960s and two-seater based on a Plurimatic engine small frame. 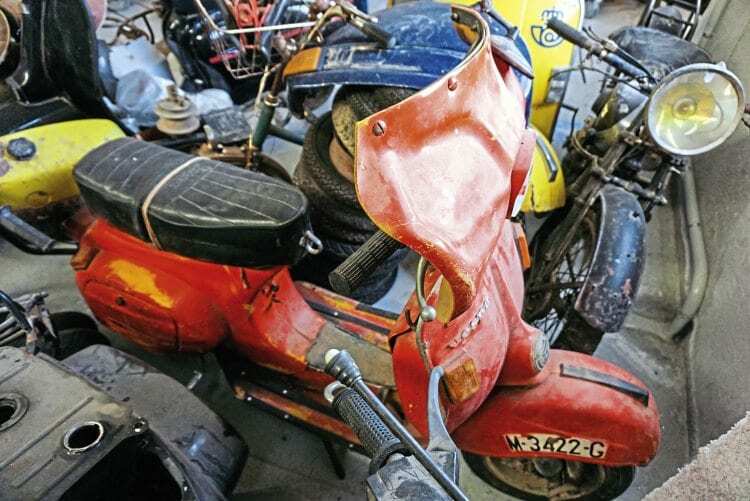 The latter is interesting as its owner was an amputee fitted with what was then known as a ‘peg leg’. 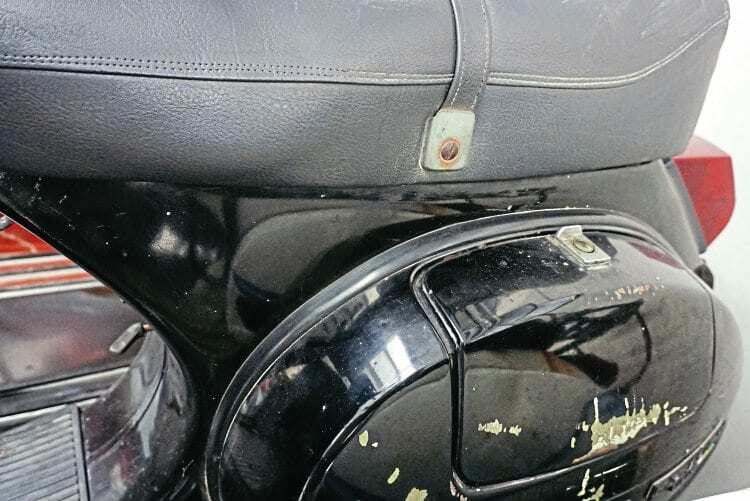 A hook being mounted to the leg shield for comfortable stowage while riding! 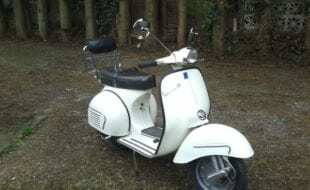 Other than its ‘SS’ style headset this 150S produced in 1964 is almost identical to an Italian GS. 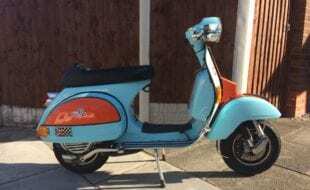 the 150S is popular as a relatively inexpensive alternative to that iconic machine and prospective GS buyers are stongly advised to seek expert opinion to ensure they aren’t buying a ‘reegineered’ Motovespa. PX frame with Rally headset and forks. 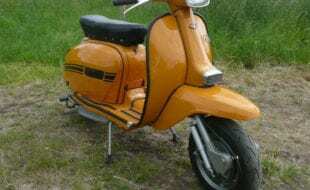 The 1979 DS200 arguably combined the worst of both designs. 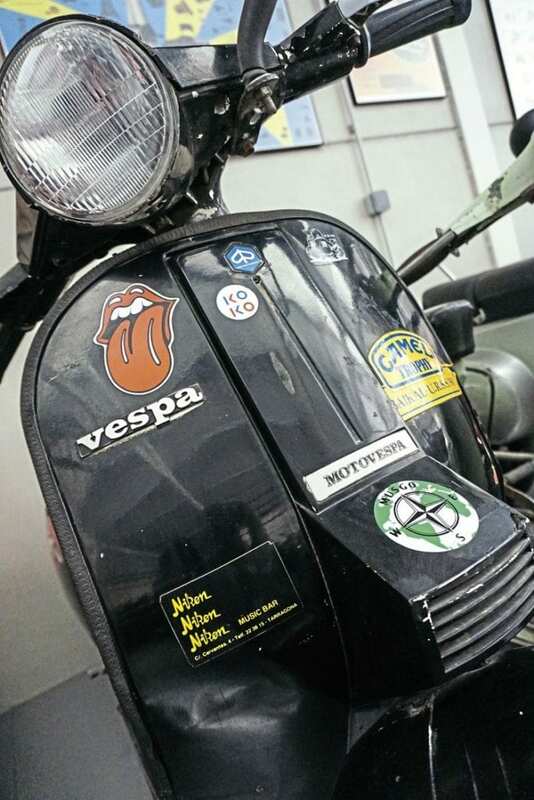 Little known outside Spain is that Motovespa produced the Cosa and five port T5 125. 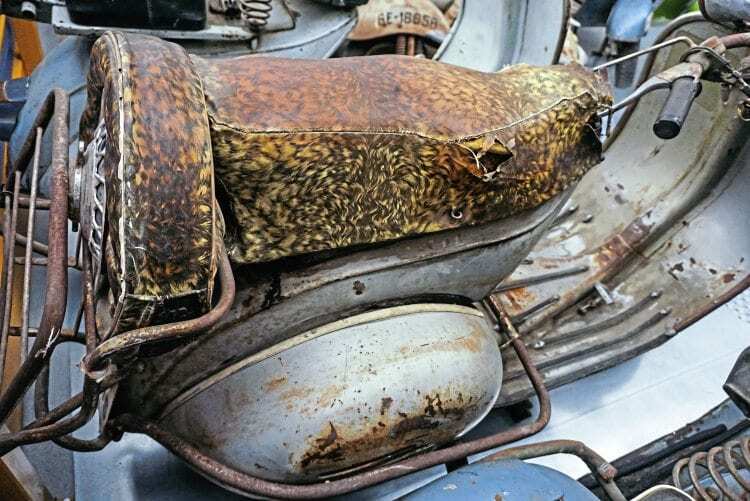 By 1956 Motovespa was producing more modern designs but still only in 125cc versions. 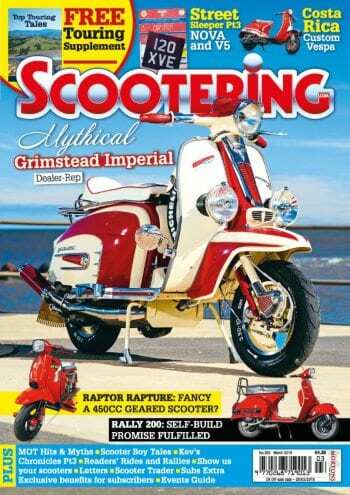 Representing the first machines with a single piece headset is Vespa ‘S’ 18615. 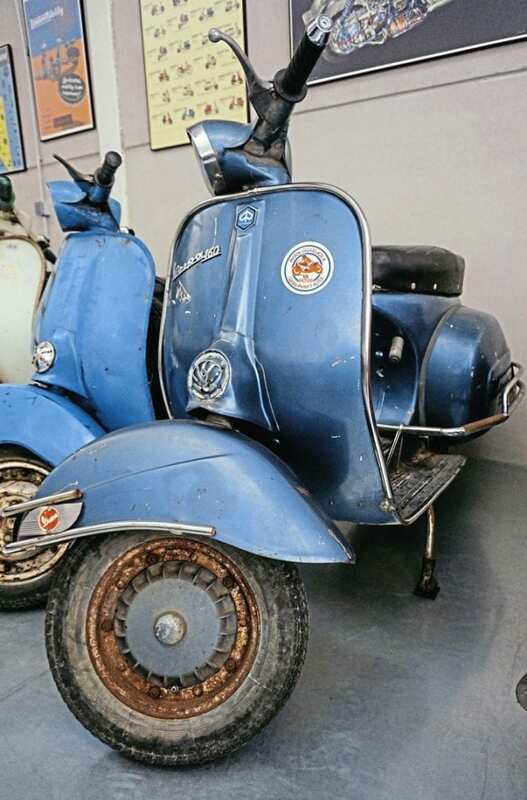 The ‘S’ models were fitted with a ‘GS’ Italian style seat as standard and this machine retains a selection of original accessories. 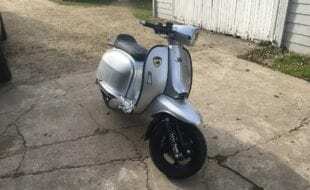 P range Motovespas are often seen in the UK bu the black non-indicator model is yet another Spanish oddity. On this example the tool box has been moved to the left side panel, a modification more commonly seen on Asian built examples. 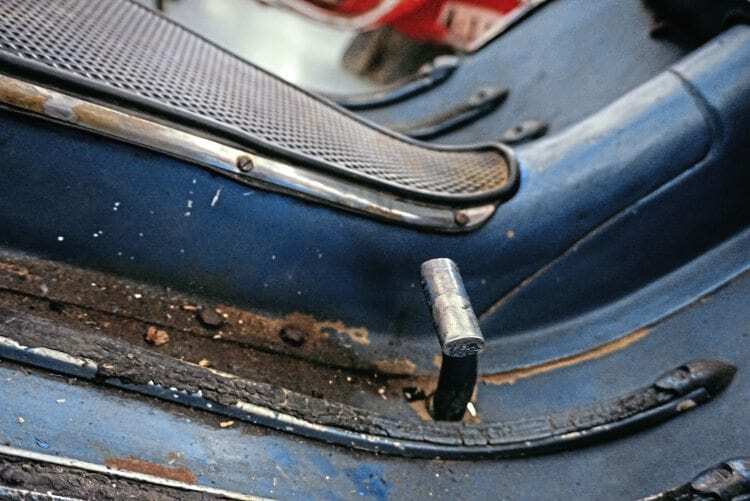 On the frame tube, inside the leg-shields, are captive nuts for the fitment of a small-frame style spare wheel carrier. The question ‘Why?’ remains unanswered. 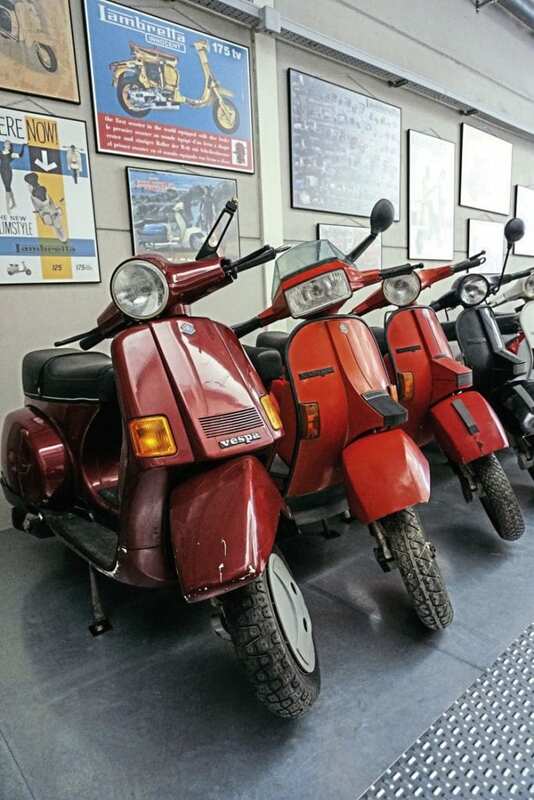 Motovespa was a strong producer of the small-frame range and Israel’s collection includes several examples unique to the local market. 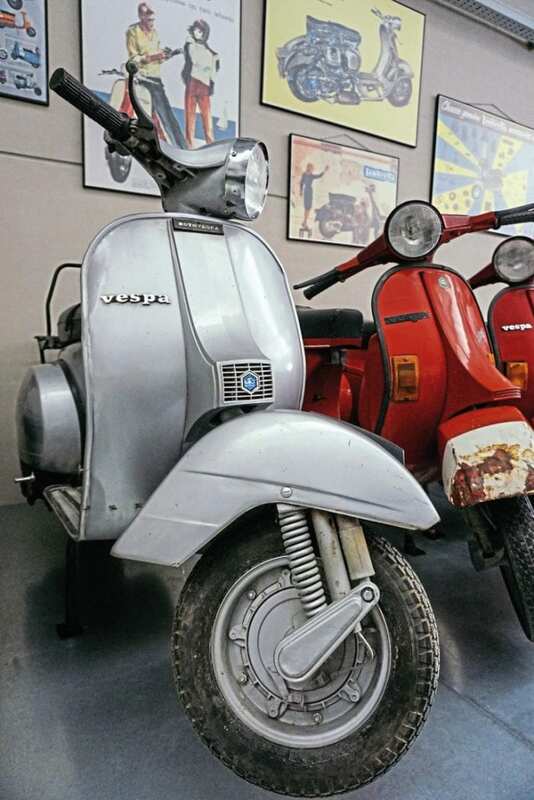 The Primavera has enduring popularity throughout Europe and this silver example from 1979 is in factory fresh finish, being almost unused from new and featuring the ’50 Special’ headset as standard. This is one of Israel’s favourite machines and can be seen in regular use at events in Alicante. 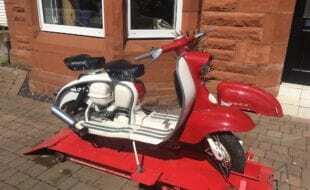 Also unique to the Spanish market was a 75cc small-frame produced by Motovespa as the ‘Junior’ to take advantage of a change in regulations allowing 16-year-olds to ride machines of that capacity. 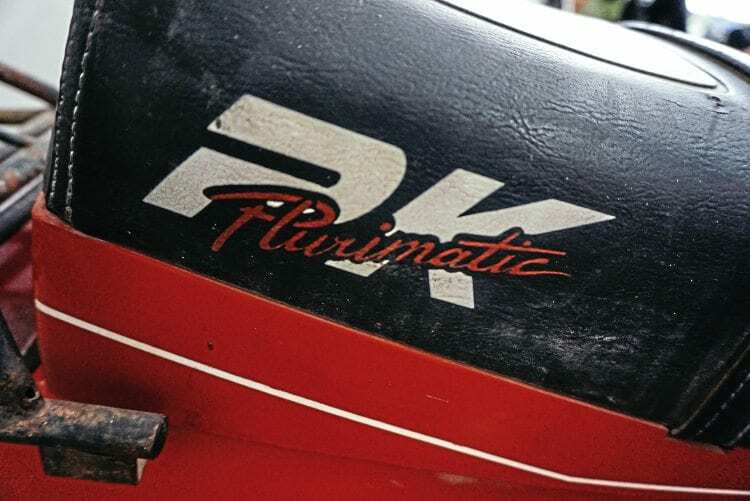 Another favourite in the small frame selection is a 1980 non indicator PK that spent its life on the Costa Dorada. This is a time-capsule of nostalgia for Israel as it’s covered in 80’s disco stickers.